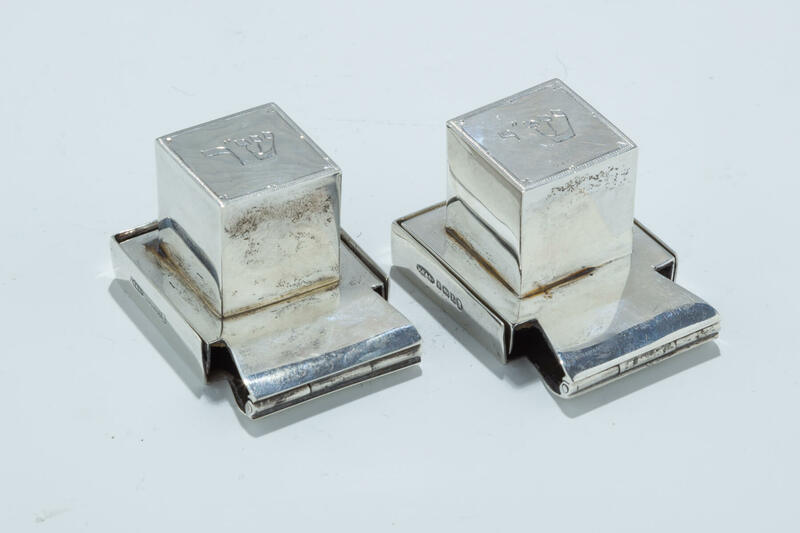 A PAIR OF STERLING SILVER TEFILLIN BOXES BY BRITTON, GOULD AND COMPANY. Birmingham, 1926. Each engraved with appropriate indication for use on hand or head. Britannia silver standard. 2.2” long.